I asked my 6 year old students what they are grateful for. 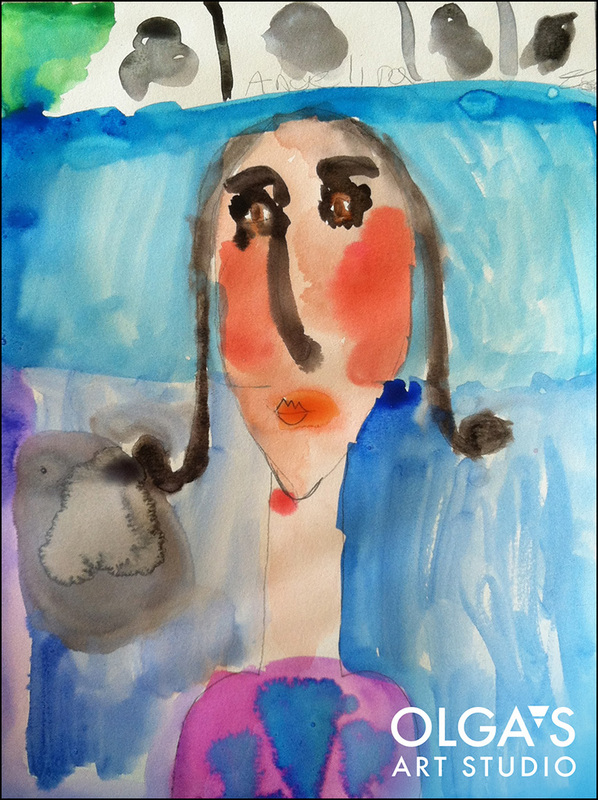 They happily responded “Sun, ocean, art, and friends…” I am grateful they like art. Paper collage by 10 year old Mia. 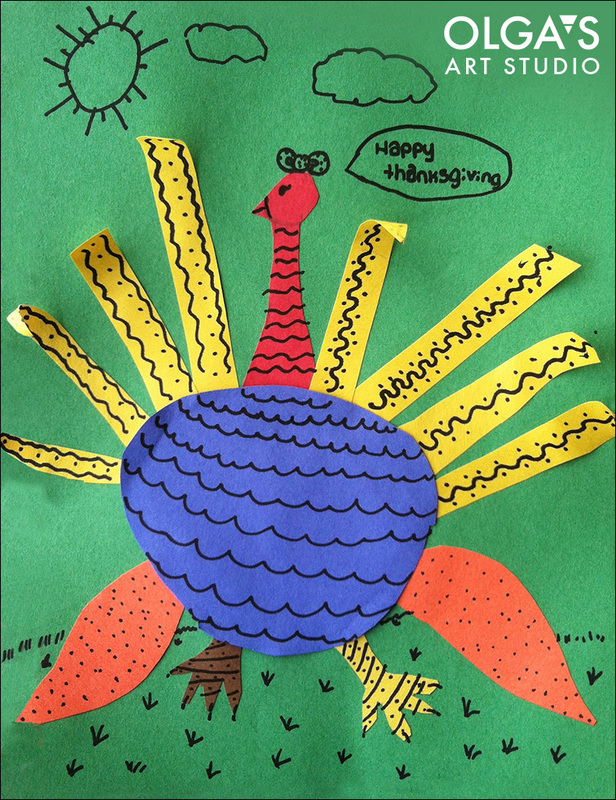 This entry was posted in Children's Artworks and tagged children's art class, paper collage, thanksgiving, thanksgiving turkey on November 27, 2014 by Olga Rogachevskaya-Chu. 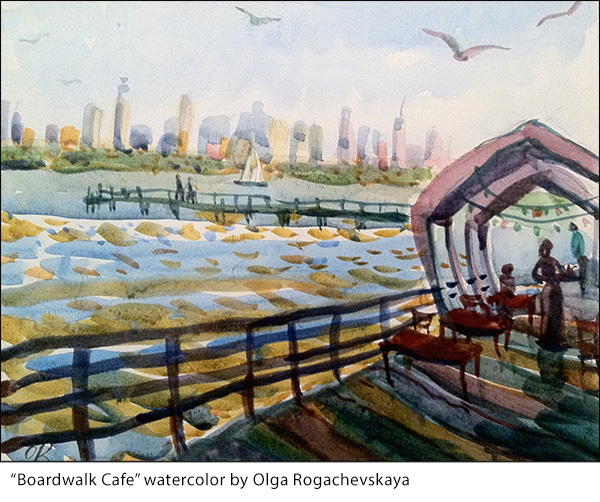 My ‘Boardwalk Cafe’ watercolor was exhibited this September at the Edgewater Arts Festival. If you are looking for a great gift, this and other works are available for purchase. This entry was posted in Plein Air Paintings, Uncategorized, watercolor and tagged plein air painting, watercolor on November 27, 2014 by Olga Rogachevskaya-Chu. 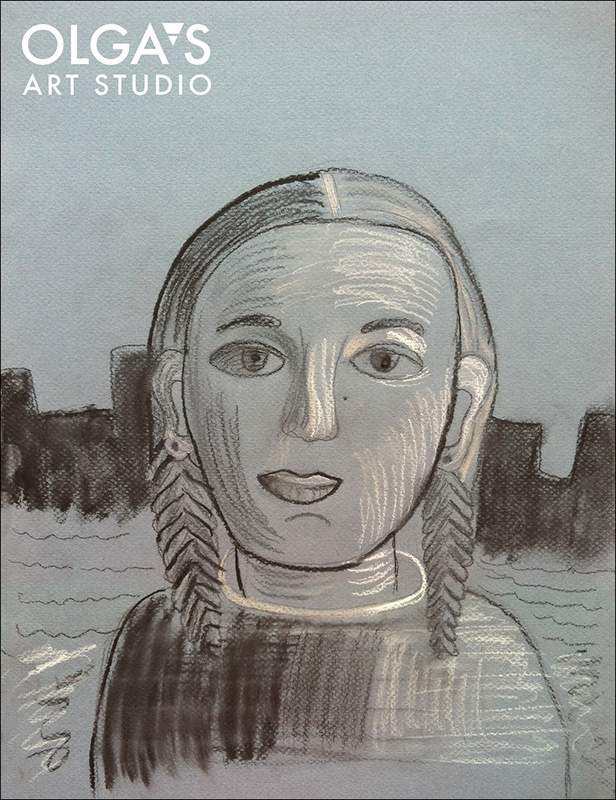 On Friday I saw Russian Pavilion exhibition, a group exhibition of 9 Russian artists at Barsky Gallery. 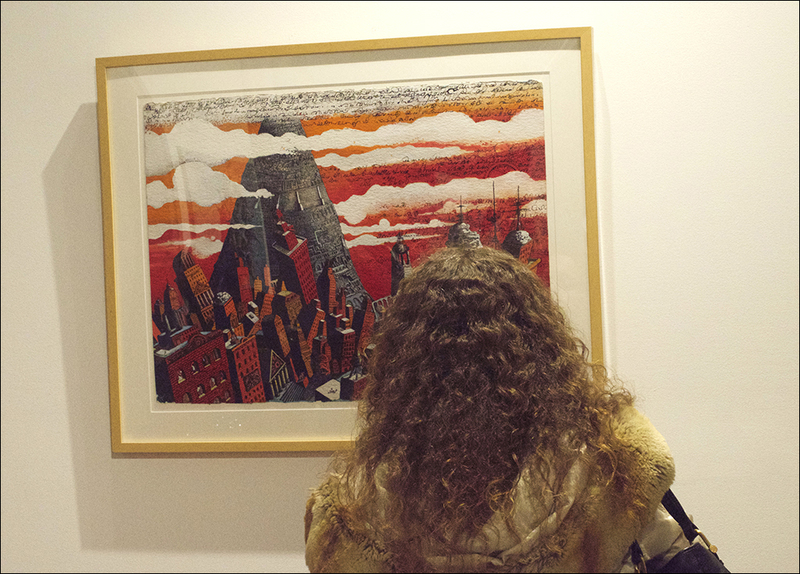 I am biased since my passion is printmaking and I loved the works of Artem Mirolevich. 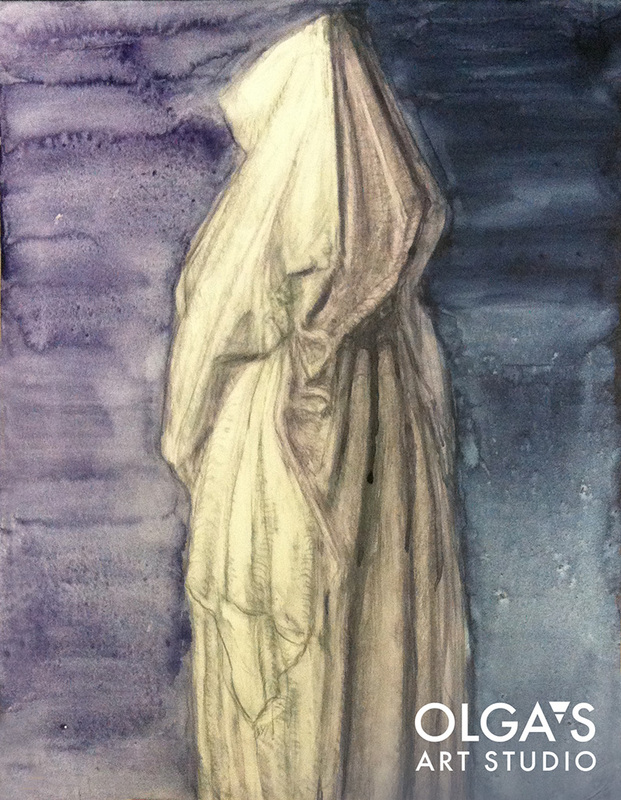 I you like art do not miss this exhibition it closes on November 30th. This entry was posted in Events and tagged Artem Mirolevich, Barsky gallery, Russian artists on November 18, 2014 by Olga Rogachevskaya-Chu.